Wouldn’t it be great if ease of use didn’t mean a sacrifice in sophistication and performance? When it comes to electronics, there is often an unfortunate connection there. 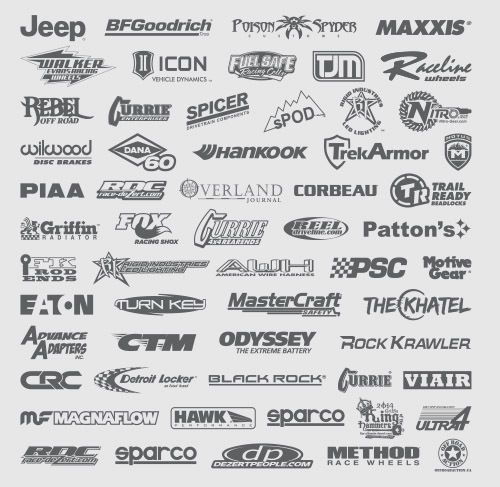 Axial purposely made the AE-5 ESC an exception. It is waterproof–a huge plus–and features two must have adjustments: LiPo cutoff and drag brake. An addition plus is that the AE-5 retails for only $45. 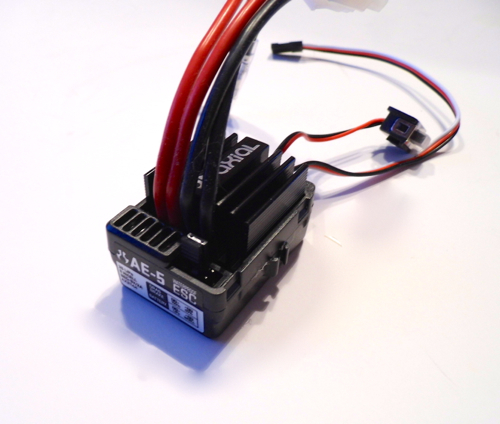 The AE-5 is a brushed motor electronic speed control, or ESC. It can only control brushed motors. While intended for crawling applications mainly, it is not limited to high-turn motors. 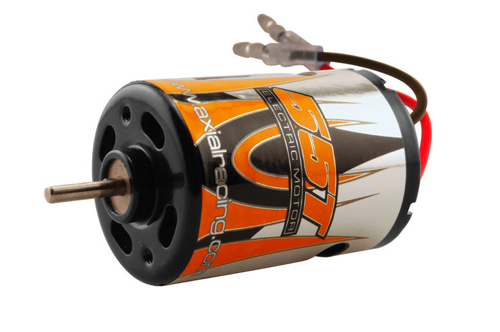 When paired with a 2S LiPo battery, it can handle as much as a 12-turn motor. On 3S, 18-turn is the maximum. Note that the lower the number of turns, the more amps a motor draws and the faster it is. Vehicles built for climbing and crawling generally need more torque or power than speed and go with higher turn motors such as Axial’s 55-turn motor (AX24007). As indicated, the AE-5 can handle 2S and 3S LiPo batteries. It can also be used with NiMH batteries. It’s worth noting that the AE-5 can handle up to a 9-cell NiMH (10.8 volts). Since NiMH packs are heavier than LiPo, if this was matched with the above mentioned 55-turn motor, the truck it was installed in would be a very capable puller. We have all heard that water and electronics don’t mix, so the fact that the AE-5 is waterproof from the factory is an obviously huge benefit. This feature will allow you to tackle a wide variety of terrain and obstacles with confidence. Always make sure the rest of your electronics (and the vehicle) are well protected. You can learn more about waterproofing in this post. The LiPo cutoff feature allows you to safely run LiPo cells. LiPo batteries absolutely must be run in this mode. This feature can also be switch to NiMH to allow maximum power out of those cells. This isn’t new to Axial ESCs, but what is new is how incredibly easy it is to program the AE-5. Instead of a series of steps performed via the transmitter or a computer, the AE-5 is adjusted via simple plugs, called jumpers. It literally takes seconds and is just about foolproof. To switch from the default LiPo mode, remove the plug and move it over slightly and reinstall. It couldn’t be easier. While correctly matching a setting for the type of battery you are using is pretty straightforward, the drag brake feature might be a little bit more enigmatic. Drag brake is the opposite of coasting. If you have no drag brake, when you went to neutral (no throttle or brake inout via the transmitter’s trigger), the vehicle would coast or free roll and slow to a stop. Drag brake automatically applies braking force at neutral. 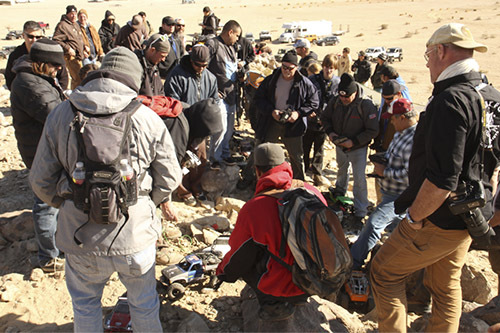 When rock crawling, this is essential for control on hills and around gates or technical sections where precision is required. Without drag brakes, a crawler would be next to impossible to control at slow speeds. It would roll on hills, off ledges, and into gates. The AE-5 comes with 100% drag brakes as the default setting. There is an optional 50% drag brake setting on the AE-5. 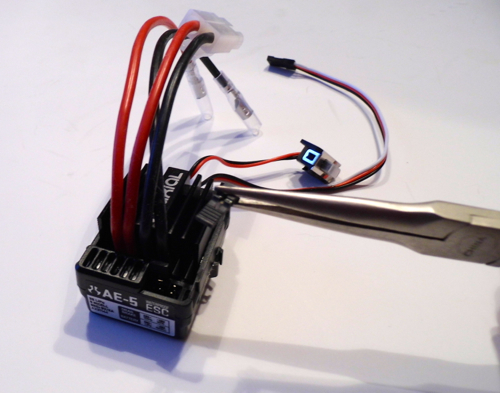 This is just as easy to adjust as the LiPo setting. Just move the plug and the setting is changed. So, if drag brakes are so good, why would you want only 50% strength? High speed applications such as rock racing will benefit from lower strength drag brakes. Lower strength drake brakes will allow to coast through turns faster. A far more noticeable difference will be when jumping. This is because drag brakes in the air will cause the nose of the vehicle to drop. Review this post on jumping to better understand this concept. So, if you’re rock racing and may encounter jumps, try reducing the drag brakes setting to 50%. And since rock racing is more about speed than finesse, you won’t have to worry about precise control around gates or on hills.